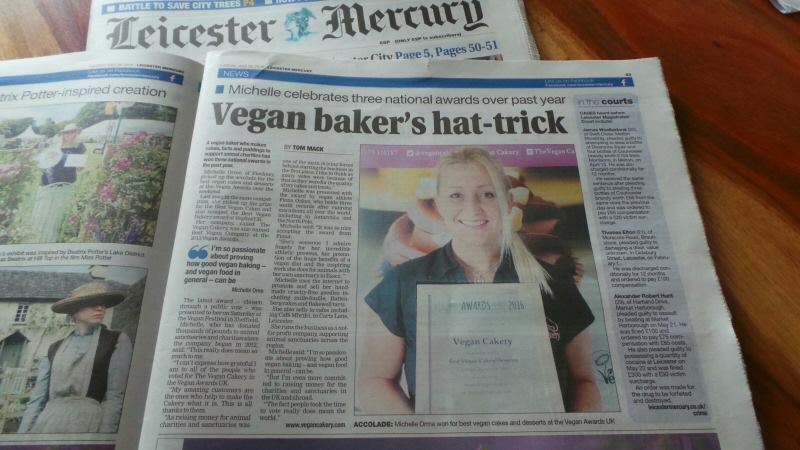 Big thank you to David Owen at TVC’s local daily newspaper, the Leicester Mercury, for this fantastic article regarding the ‘Best Vegan Bakery’ win at this year’s Vegfest UK Awards! 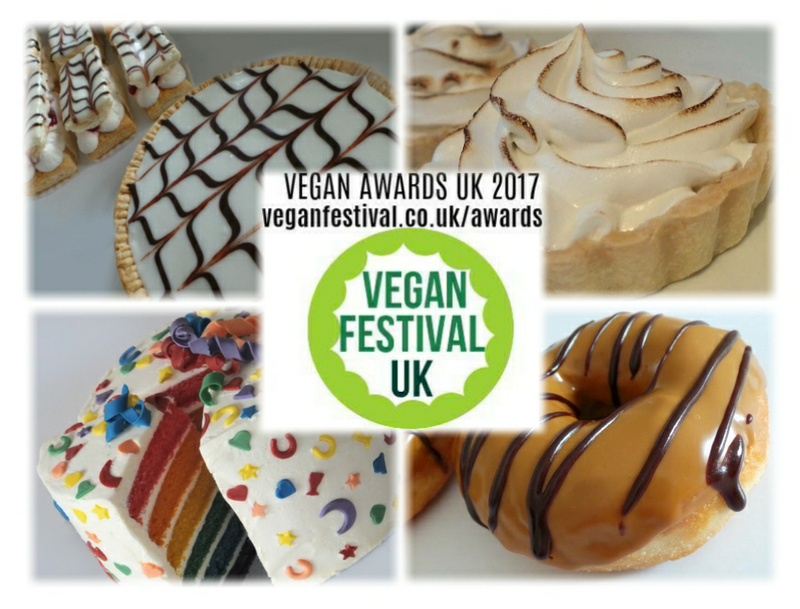 Second year in succession, huge thank you to all who voted for me! 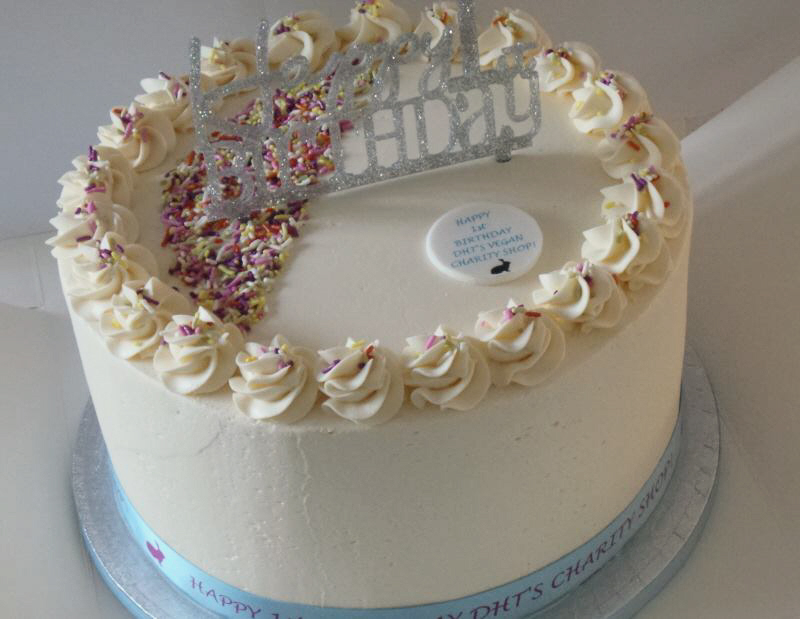 Happy 1st Birthday Dr Hadwen Trust Charity Shop! 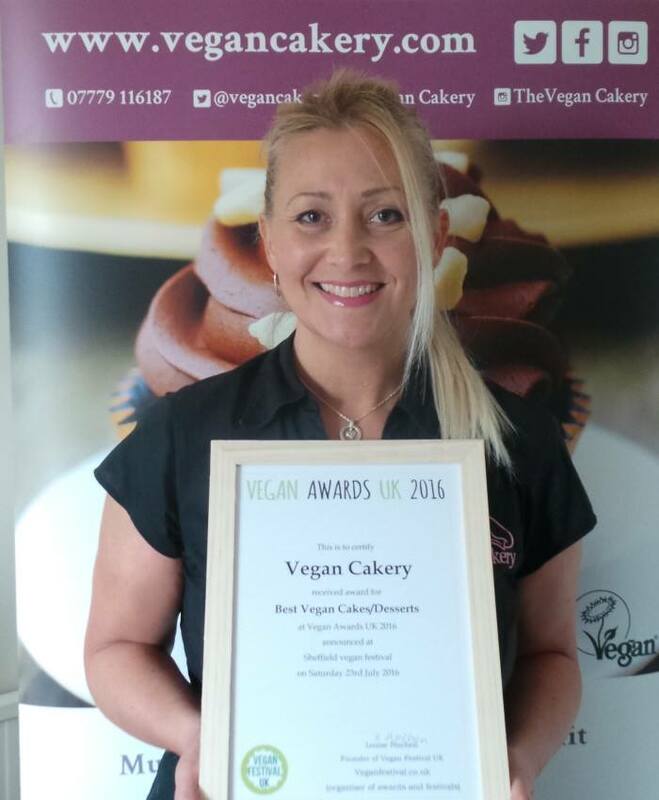 The Vegan Cakery had the honour and privilege to bake this special 1st Birthday rainbow cake for the amazing Dr Hadwen Trust Charity Shop, marking its hugely successful first year of operation in August. Here’s to many more! 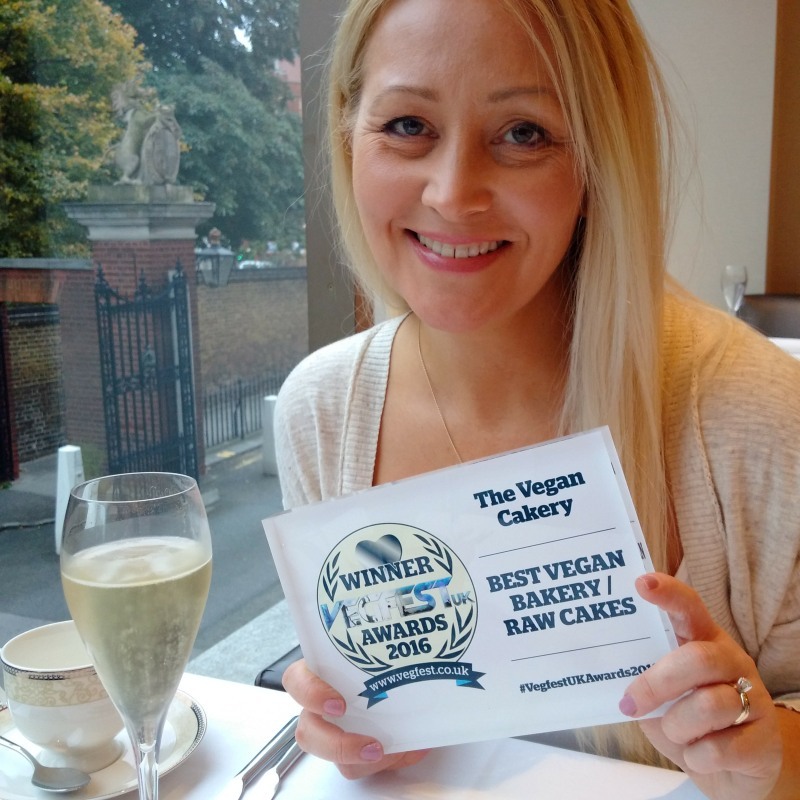 Another journalistic thank you, this time to Neil Pickford at the Harborough Mail, for this great piece about TVC’s win at the Vegan Awards UK 2016 in Sheffield. 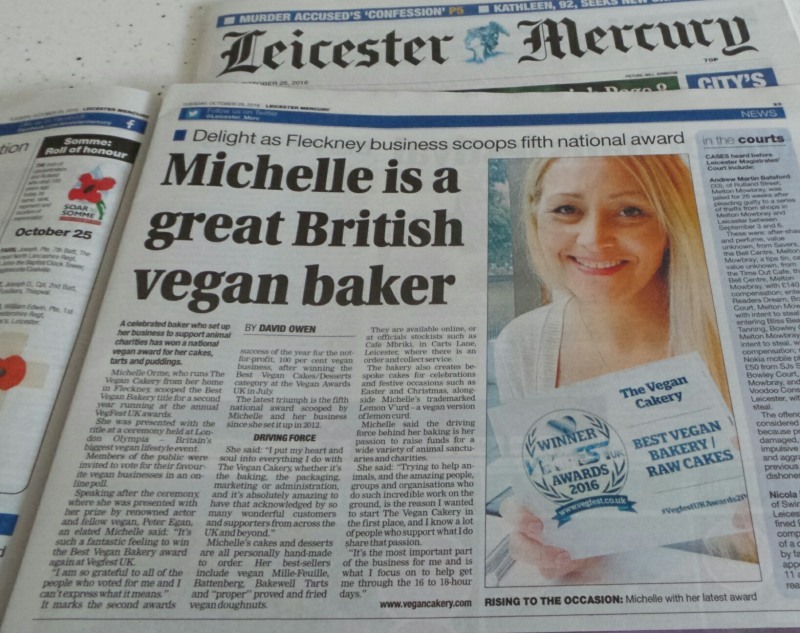 Thank you to Tom Mack at the Leicester Mercury for this great article in the Leicester Mercury following the Vegan Awards UK 2016 ‘Best Vegan Cakes/Desserts’ category win. 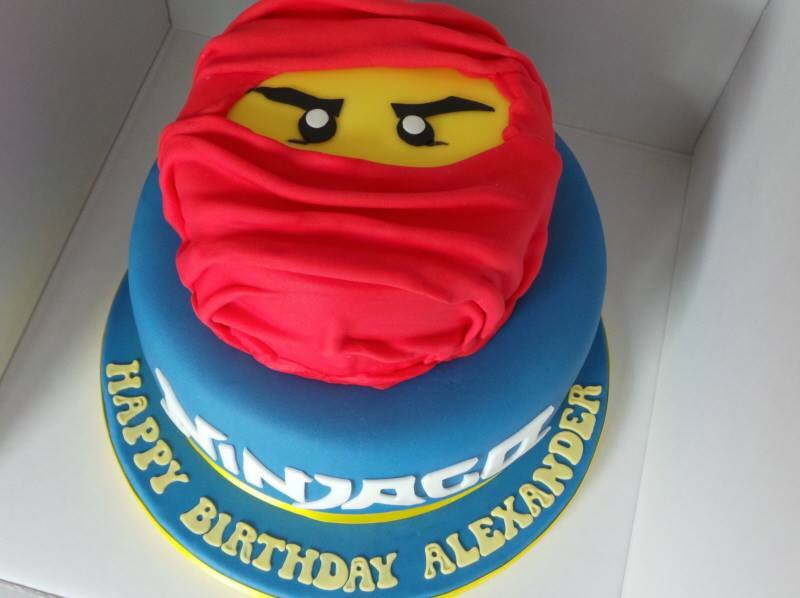 Well, the bespoke Ninjago themed cake was for Neil’s son Alexander actually…but always a pleasure to bake for Neil and his family. 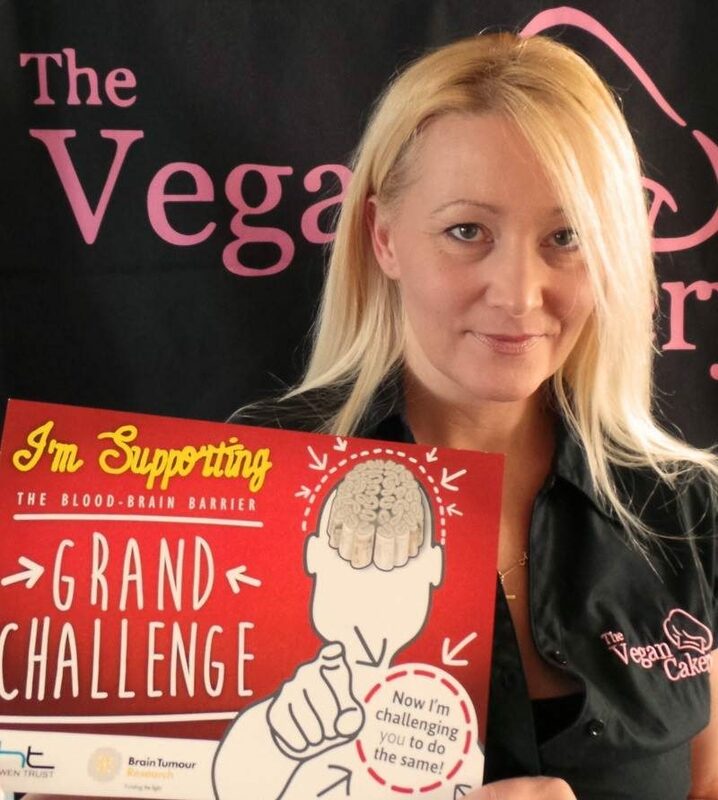 If you’re not aware, Neil – former World Snooker Champion – is flying the flag for vegan at the highest level on the green baize. Elated to announce TVC has completed the Dr Hadwen Trust ‘Grand Challenge’! Huge thank you to all of the customers who helped make the donation possible. 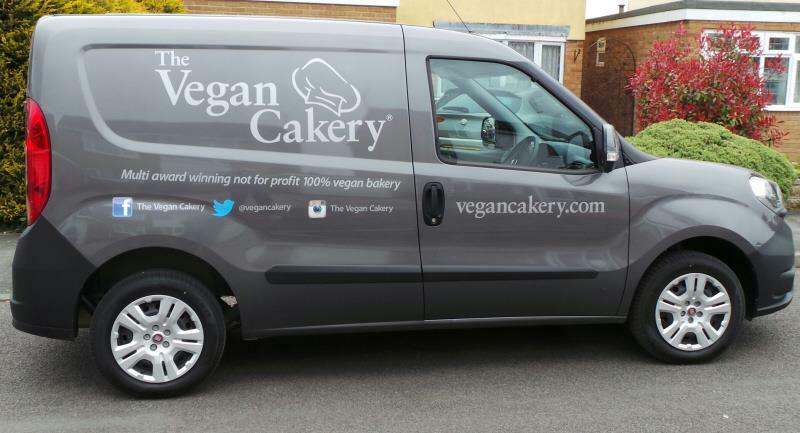 Look out for The Vegan Cakery on a road near you…from late April 2016 TVC treats will be travelling across the UK in this little beauty! Thank you to Ford and Slater in Peterborough and John Eley Signs.